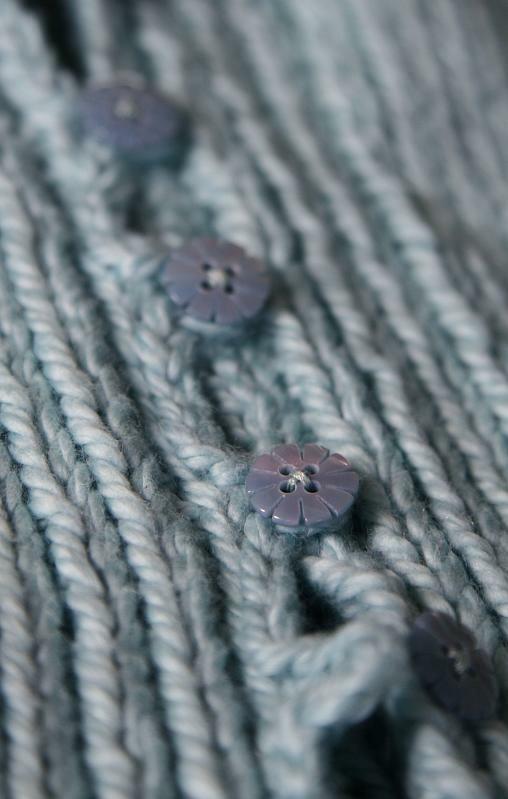 The yarn is scrumptiously soft--the texture and colors available all remind me of cotton candy. Despite this, I still had problems with a little crampiness in my hands working it on size 8's. 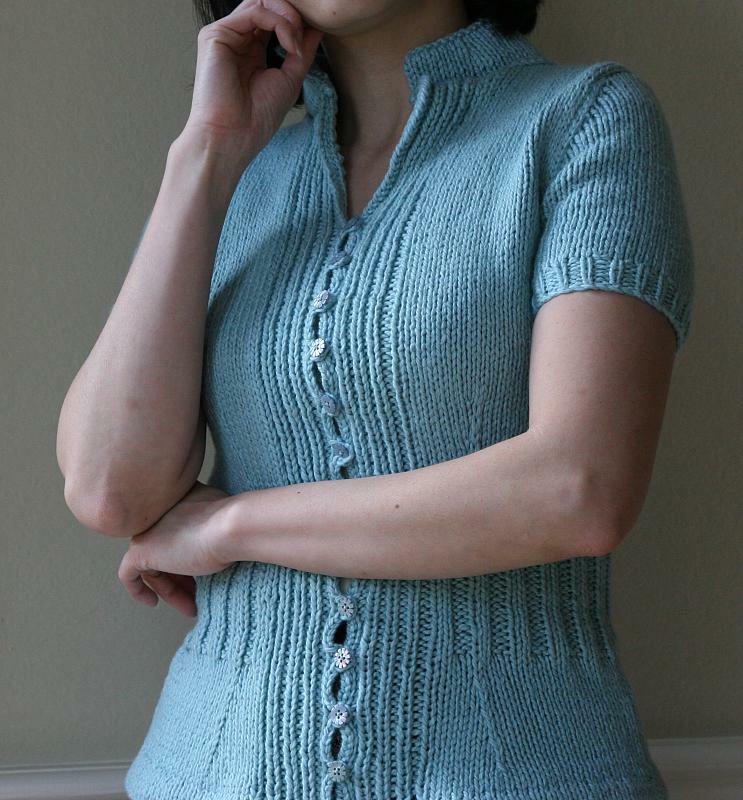 I have read comments on Ravelry about it holding out well, but I've also read comments about it pilling terribly. Hopefully at this this gauge, it won't pill *too* badly. Keep your fingers crossed! 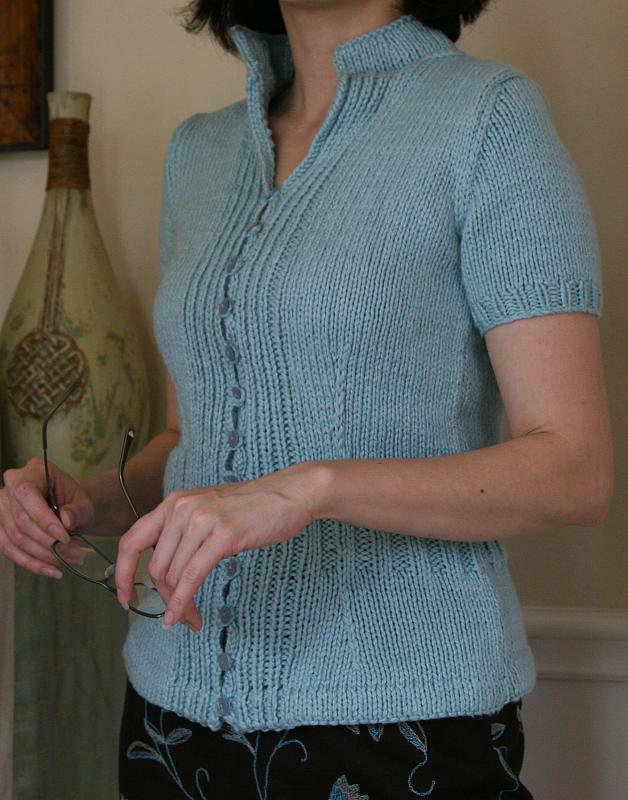 I love all the details included in this pattern and have learned some useful techniques, such as double knitting and using slip stitches to produce the look of darts. The pattern is very well done and I essentially did no tinkering. The only minor exception to this is the number of stitches cast on for the sleeves. The 33" size calls for 35 stitches to be cast on, but all of the other sizes call for an even number of stitches. So I cast on 34 stitches to ensure that the K1P1 ribbing pattern would be maintained after seaming. When I did the button loops, I found that it was difficult to fit a 1/2" button through, so I used 4 stitches (or whatever is the appropriate crochet term) for each loop. 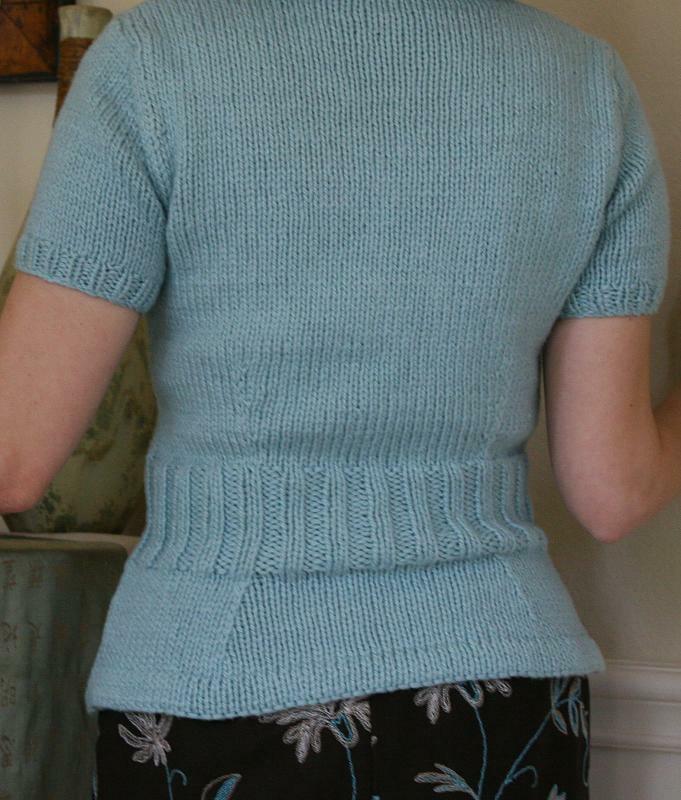 I knit everything else according to the pattern and am so pleased! The shaping and details are great.